Birch Gold Group is one of the nation’s largest and most trusted precious metals companies. Based in Burbank, California, right across from Warner Bros. Studios, and founded in 2003, the company helps customers preserve their wealth by adding physical precious metals to their portfolios. We take our time to understand every customer’s unique investment goals, and provide them with the right information for making the best possible investment decision for their future. This includes a massive library of education content on our website, including comparisons of physical versus paper gold, considerations about financial advisors, and investment scams to beware of. It is the relationships we develop and the trust we create that matter most to our success. We realize that we, and everyone else, are in the people business. This way of thinking has helped us achieve superior customer satisfaction ratings and consistent good reviews. Named a “Major Gold and Silver Dealer” by Newsmax, consumers have given high ratings to Birch Gold Group on trusted, independent websites. We actively seek and feature real reviews from customers who have chosen to work with us, since we realize that consumers trust companies that confidently display customer feedback. We like online reviews – whether positive, negative, or raving – because they help us better understand and serve the needs of our customers, measure our success, and improve on our services. Employees at Birch Gold Group are proud and honored to receive such a high number of positive reviews and high marks from customers who often recommend our precious metals services to friends and family. The Better Business Bureau (BBB) is a nonprofit, self-regulated organization focused on advancing marketplace trust. For over 100 years, since 1912, the BBB has provided services to set standards for ethical business behavior and help customers identify trustworthy businesses. The BBB collects and provides free business reviews to millions of consumers, alerts the public about scams, and reviews advertising practices. In 2013, the BBB received over 123 million consumer requests, making their website one of the top visited in the United States. 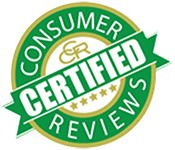 ConsumerAffairs offers expert resources and verified reviews to help consumers make smarter buying decisions. They currently have over 300 accredited brands and more than 700 non-accredited brands on the site with a 3 star rating or higher. ConsumerAffairs offers hundreds of thousands of consumer reviews and intelligent matching tools to pair users with a company that best fits their needs. Their belief is that consumers should be able to make a smart buying decision based on unbiased feedback and research-driven information. Anybody who has had customer experience with Birch Gold Group or any other business can write a review after they complete the Trustlink registration form. 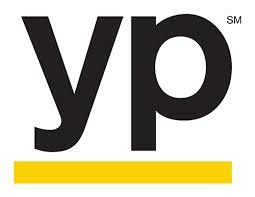 YP (Yellow Pages) is a major local ad platform in the United States, connecting consumers to businesses and helping local businesses and communities. YP launched in May 2012, merging two companies into one – AT&T Interactive and AT&T Advertising Solutions. YP.com, the rebranded YellowPages.com, is mainly a contact directory of local businesses with phone numbers, locations, and addresses. The website also provides a platform for consumers to write reviews of businesses. Birch Gold Group specializes in converting existing IRA’s and eligible 401(k)’s into gold and other physical precious metals. Whether you are looking to purchase gold or silver for physical possession or adding precious metals to your IRA or 401(k), Birch Gold Group is ready to be of service. To get started, call us at (800) 355-2116 or click here to request your free gold information kit. There is zero obligation to you to request your free kit.